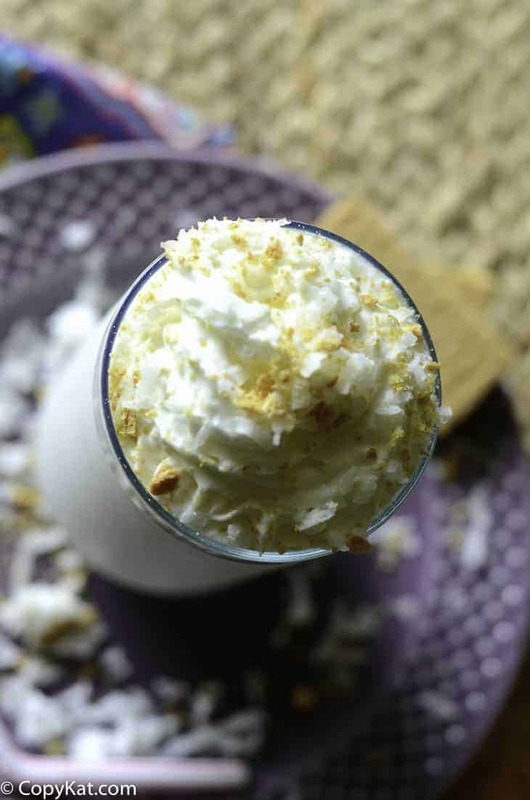 The Sonic Coconut Cream Pie Shake is a wonderful shake that you are going to love. Are you tired of chocolate and vanilla flavors? Shake up your shakes with the coconut cream pie copycat from Sonic. One of my favorite things to do during the summer is to head to Sonic in the evening. They normally have half priced shakes and ice cream during the summer months. It’s fun to try new varieties at half of the regular price. The coconut cream pie shake has to be in my top 5 favorite Sonic drinks. Read down below for my favorite five Sonic Drinks! Sonic is an American drive-thru chain that became popular because of their carhops on skates. You drive into a stall, order and then a carhop delivers your food on roller skates! It’s a true talent to deliver a tray of food on skates and the company holds a competition each year to find the best skater in the organization. Besides milkshakes and skating carhops, Sonic also carries a variety of burgers, hot dogs, french fries, slushies and a full breakfast menu. The restaurant chain started in 1953 in a small town in Oklahoma. They are now one of the largest fast food chains and have locations in 45 of the 50 states. Even though I love Sonic’s half off promotion (in my area that’s 2 to 5 pm), you can save even more money by making their drinks at home. 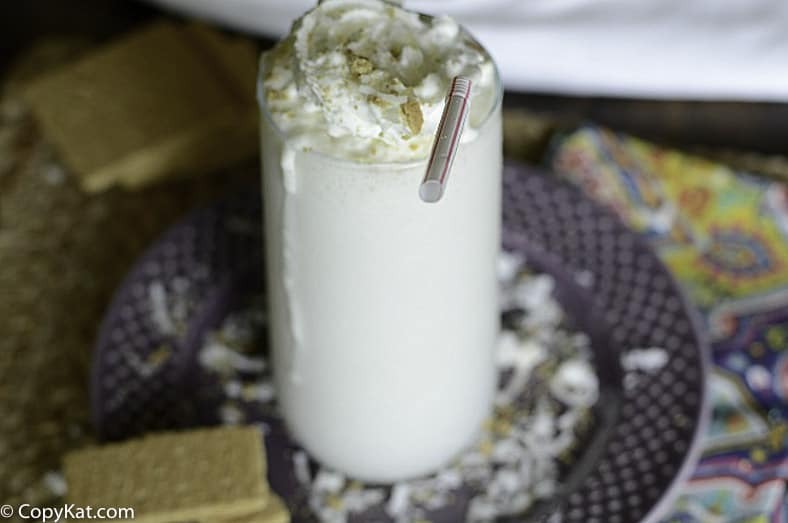 As I mentioned, I am a big fan of the coconut cream pie milkshake and it is super easy to recreate at home. For a fraction of the cost, you can be sipping a cool drink in the comfort of your own home! Coconut Cream is a sauce/syrup that you typically find in the cocktail section of the store. It comes in either a can or a plastic bottle. This is often used when making pina coladas. 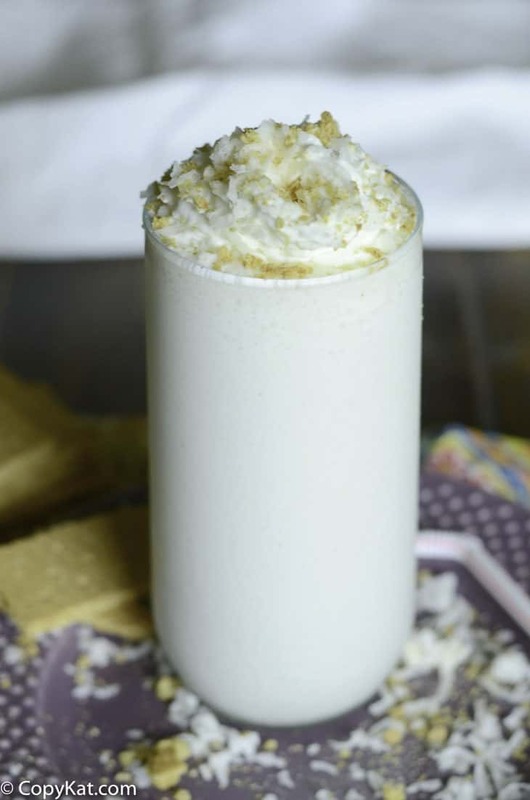 Cool off with this refreshing Sonic Coconut Cream Pie Shake. Combine the coconut cream, milk, ice cream, vanilla extract, and salt. Blend until smooth. Pour into a glass and garnish with whipped cream. Crumble a graham cracker or two over the top as well. So good, we made this twice this week. I toasted the coconut it was so good. Thank you for the recipe. So tasty, I don’t live near a Sonic. Thanks so much for posting this, its one of my favorate. Cant wait to try it!!!!! I live in Canada where would I find coconut cream??? If your grocery stores do not carry it Amazon has it on their site. Love your site! This Sonic recipe looks sensational. Gonna try it this weekend! Do I buy coconut cream in the grocery store? This sounds delicious! I can’t wait to try this recipe! Thank you for sharing! What is exactly coconut cream? Hi everyone, I think she means the cream of coconut you buy to make pina coladas with. It’s in a can at most grocery stores where the wine/beer/mixed drinks are. Also most larger liquor stores carry it. Coco Lopez is the brand that’s sold where I live. Thanks Mickey that makes sense now.